With the economic downturn, many people are turning to ‘staycations’ rather than heading abroad. Northern Ireland has decided that 2012 will be its year to shine and have launched a “Our time our place” campaign. So why not pop over to “Norn Iron” this summer and enjoy the craic? A new development alongside the River Lagan in Belfast. 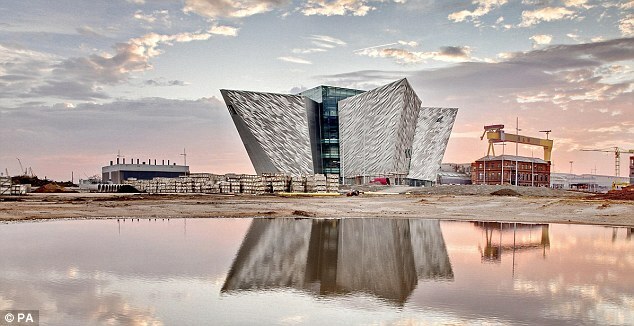 As well as new apartments and film studios, the main attraction is the new Titanic Belfast centre. Built on the site of the former Harland and Wolff shipyard, it tells the story of the Titanic’s ill fated voyage in 1912, from the building of the ship until the finding of the wreckage. Despite the lack of good weather, Northern Ireland is home to some of the best beaches in Europe, with an astounding 11 Blue Flag beaches, miles of golden sand stretch along the North Coast. These Northern Irish beaches offer an unforgettable experience. Be it walking in the cool summer air or partaking in some exhilarating water sports; there is something for everyone. An outdoor music festival which has been staged in Custom House Square Belfast for the past 3 years. Its fourth year is perhaps the best yet; headliners ranging from Thin Lizzy to Tom Jones. Tickets are still on sale. (Go to http://belsonic.com/ for details). If you’re a keen golfer, then Northern Ireland is the place to go. Home of Darren Clarke, Rory McElroy and Graeme McDowell, Northern Ireland is renowned for being home to some of the finest (and most difficult) golf courses in Europe, boasting the first golf club in Ireland. Royal Portrush Golf Course is hosting the Irish Open this Summer (28th June - 1st July). Possibly the most famous Northern Irish landmark, the Giants Causeway is a collection of 40,000 basalt columns which were the result of a volcanic eruption several million years ago. That being said, legend has it, Irish giant Finn McCool built the causeway so that he could walk across to Scotland to fight his Scottish rival Benandonner. This legend corresponds to the fact that there are several similar basalt columns on the isle of Staffa in Scotland. A new vistors centre is opening this summer. Having been the site of a lot of trouble in the past, Londonderry (or just Derry) has put the past behind it and is the City of Culture of 2013. You can step back in time and relive the city’s past on one of the many walking tours and there are also many museums to peruse. If you get the chance, you should take a stroll around the city walls, from where you can see the many murals that decorate the city, St Columb’s Cathedral (built in 1633) and the magnificent Guildhall; a neo-Gothic building with a fantastic collection of stained-glass windows. The city is also home to two shopping centres and a newly built 'Peace Bridge'. On June 21st the Peace One Day concert is the opening event for the London 2012 Festival and will also celebrate the Global Truce on Peace Day in September. This concert will also display the new event site at the historic Ebrington Barracks in Londonderry. Artists such as Pixie Lott, Newton Faulkner and Imelda May will be performing. Tickets are available from Ticketmaster outlets and online. On 30th June the Titanic Slipways in Belfast will stage the biggest outdoor arts event Northern Ireland has ever seen. It promises to be an impressive evening with acrobats, circus acts, musicians, dancers and finishing up with a fantastic firework display on the Slipways. This year is the 50th Ulster Bank Belfast Festival at Queen's University. One of the largest arts festivals in the UK, this one promises to be the biggest and best yet for its anniversary year. A mixture of comedy, drama, music, theatre and film, this is a festival not to be missed. Of course, the most obvious reason to come to Northern Ireland is for the ‘craic’. Home of some of the friendliest people in the world, within less than an hour in the air you’ll be transported to the green fields of Northern Ireland -which boasts an eclectic mix of Irish and British culture. Cheap flights are available from England, Scotland and Wales to the country’s three airports (City of Derry, Belfast City and Belfast International) with all main airlines, and there are ferry links from Scotland and Wales. Also, students may be happy to hear that a spirit measure over there is 10ml bigger than in England - proof, if you still needed it, that Northern Ireland is the place to be.